For some company leaders, hosting a holiday party is tradition and they wouldn’t dream of canceling it, even in “down” years. Other executives, however, need a little convincing that it’s worth the investment—even in “up” years. To help you persuade them that holiday parties make good business sense, we came up with three solid pay-offs, as well as some tips on how to get the most from your mixer. If your company’s mantra says it values people’s happiness, show them, whether you’re introducing a new culture or reinforcing an old one. Parties are a great way to walk the talk—and many companies already do just that. For instance, outplacement firm Challenger Gray & Christmas surveyed human resources executives late in 2016, and 80 percent said they planned to host holiday parties in 2016. Of these, 21 percent said they budgeted more for the celebrations than in 2015. Another survey of a cross-section of Corporate America conducted by global executive search firm Battalia Winston found that 89 percent of the companies they polled said they’d have corporate holiday parties, up from 85 percent in 2015 and 78 percent in 2014. Executives won’t spend money if they don’t think it’s worth it — so the fact that they are says something. Parties make it easy to say thanks. Study after study shows that employees who feel appreciated are also more productive, satisfied, motivated, resilient and even healthy. So in addition to promoting a yearlong culture of gratitude, it makes sense to plan something special once a year. 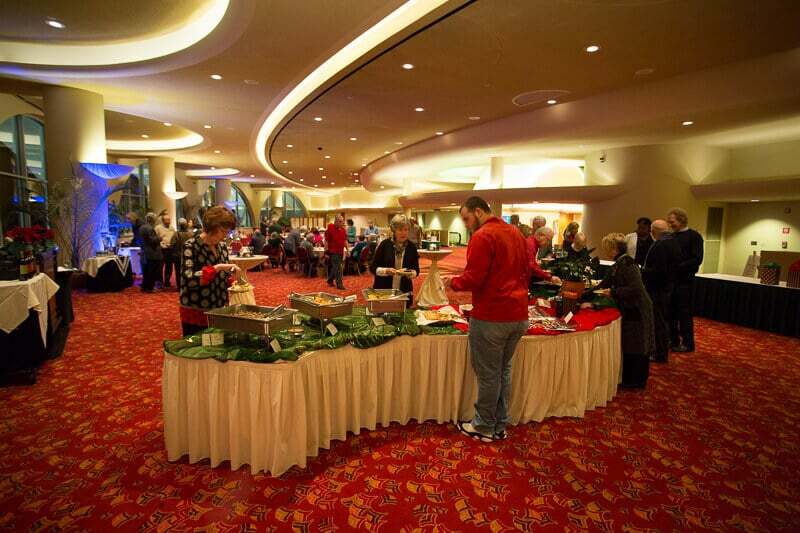 Some organizations use the year-end party to recognize individuals or groups for extraordinary effort. The spotlight is even more meaningful when that recognition takes place in front of family members or clients. But often, all that’s needed is a night with fun on the agenda and a heartfelt “thanks for all you do” from the boss. Good party = better relationships. For employees who rarely interact with others outside of their daily routine, gatherings offer a golden opportunity to mingle with co-workers and managers and form stronger bonds. 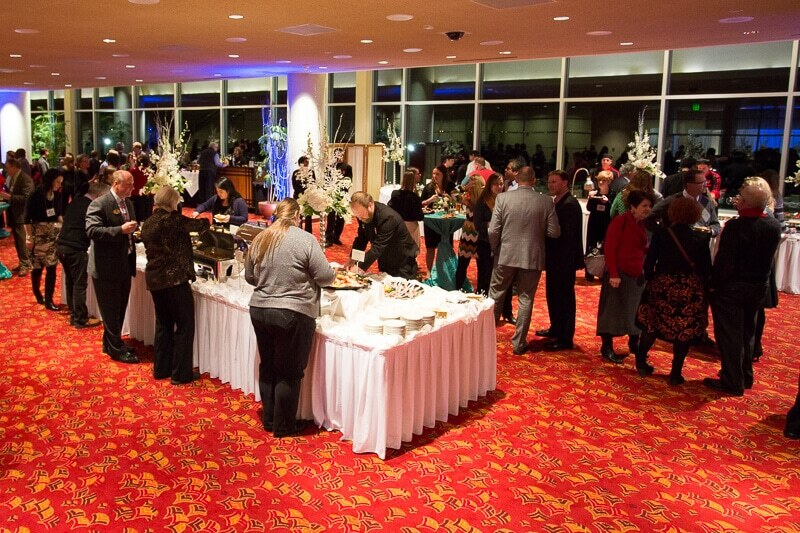 Social events also build opportunity when attendees network with employees’ spouses and guests. Plus, parties allow managers to get to know employees as people, not just “people I work with,” and vice versa. That personal insight often leads to more effective ways of working together—another payoff that lasts throughout the year. Nail the date! If you’re going for December, it’s not too early to pick the date the summer before and tell everyone to hold their calendars. Also consider a January party. It’s often easier to secure venues then. Share the planning responsibility. Involve people from various departments and meet regularly to review progress. Work with pros. 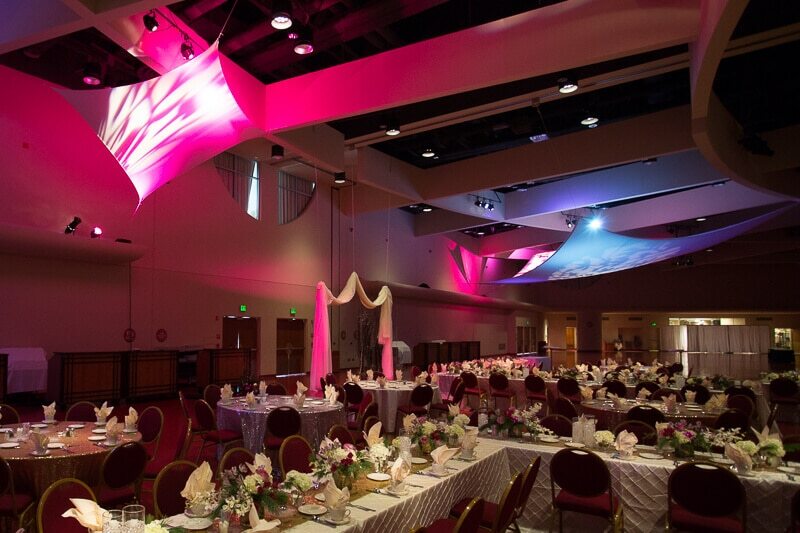 Consult with your venue’s event planners, who can offer ideas and guidance based on experience. Consider serving a signature cocktail. Let your company’s name, company colors and culture inspire you. Focus activities around bonding. While it’s good to include entertainment of some kind, you don’t want separate rooms or areas—for example, one for bingo, another for a band, and still another for a photo booth. Plan an event that truly brings people together. Keep it light. Create an atmosphere where people can let their hair down. The best bonding takes place when people are relaxed. 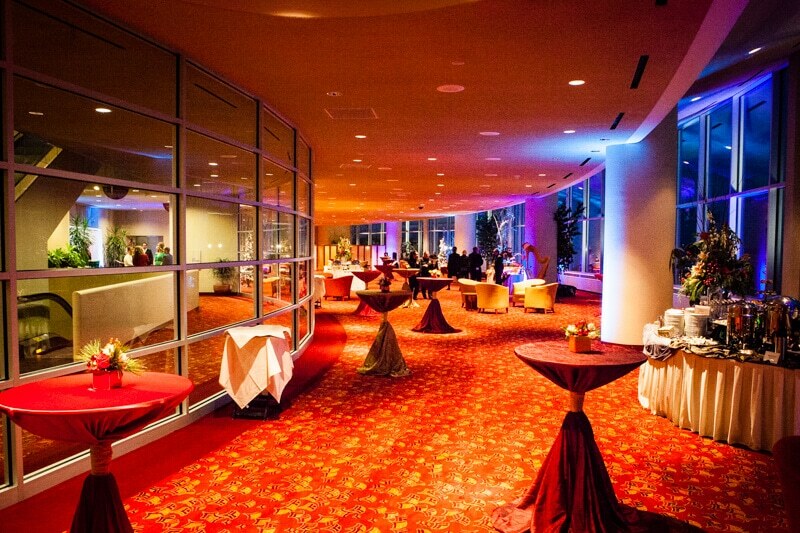 Want to learn more about planning a party at Monona Terrace? Contact Breanne Chase, sales manager, at bchase@mononaterrace.com or 608-261-4093.